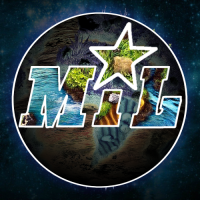 Check out the amazing and creative entries of last week challenge! 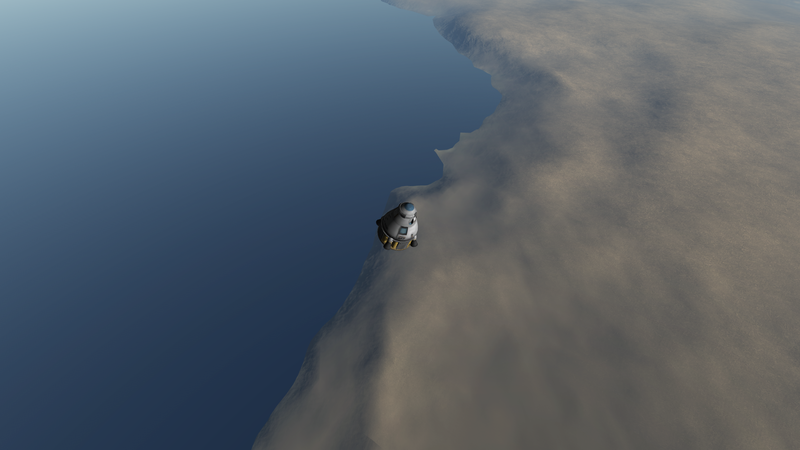 This week we have another theme for you: "Taking the scenic route"
Launch a craft to orbit with the overlay turned off and no map view, optional a polar orbit AND OF COURSE LAND! what do you mean by "overlay"? Interesting challenge. The first trick will be knowing when you've made orbit, although flying the same launch profile with a known booster should make that easy enough. 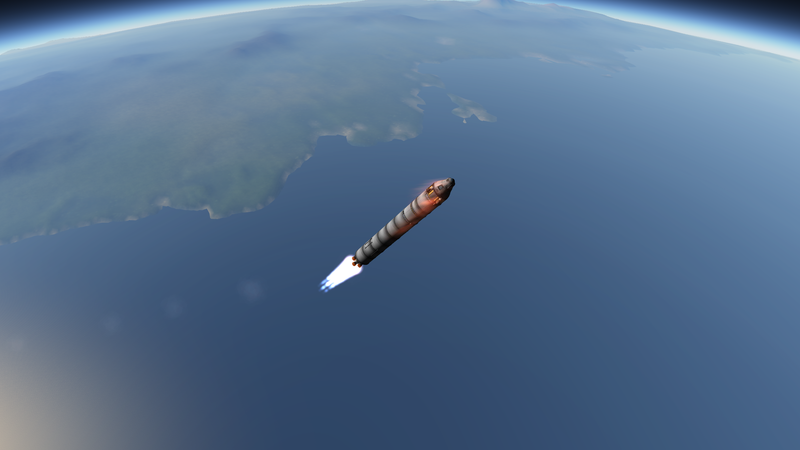 The bigger trick will be making a good re-entry, although I guess that won't be too hard if you want to play safe and don't mind bleeding off speed for a few loops. 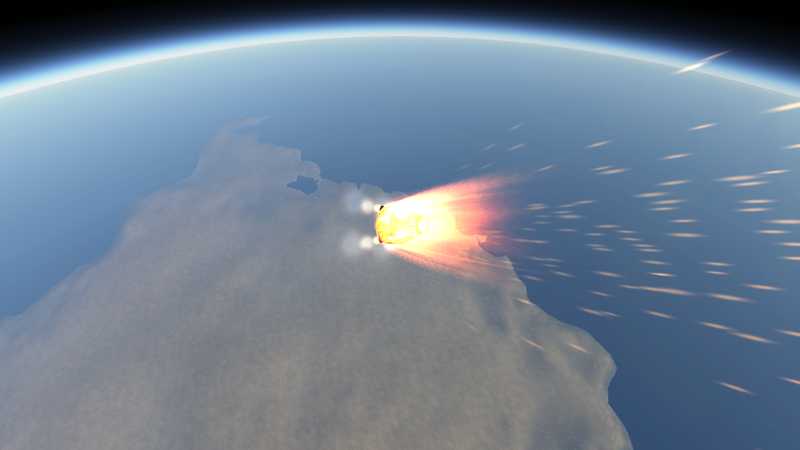 Can we turn re-entry heating off? Can I use The IVA mode ? 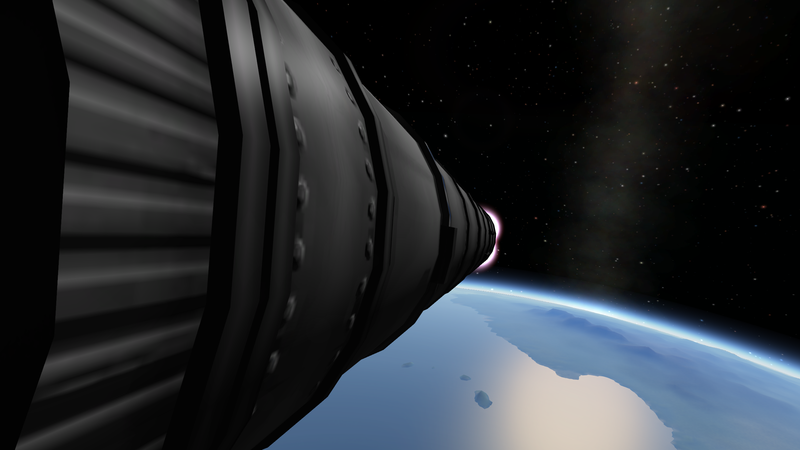 Well, the camera switching to "orbit" mode should come in real handy for anyone trying this. 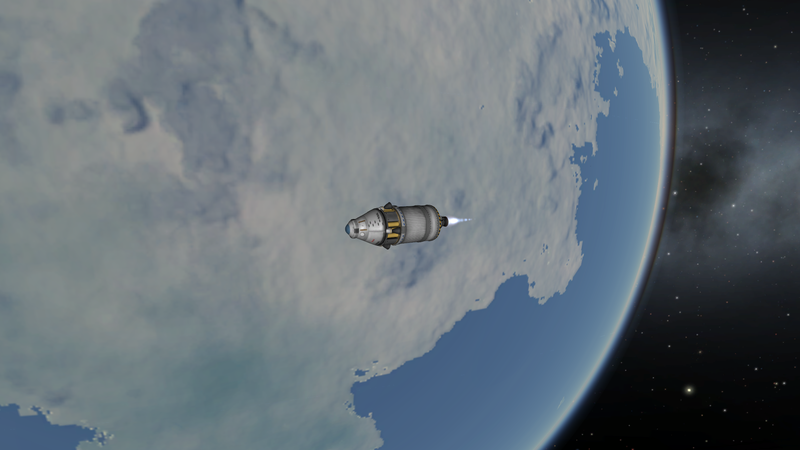 Can I use MechJeb? Never Mind, just a thought. I won't. Yet. Oh, shoot, I wasn't here until 0.23! Hmmm... 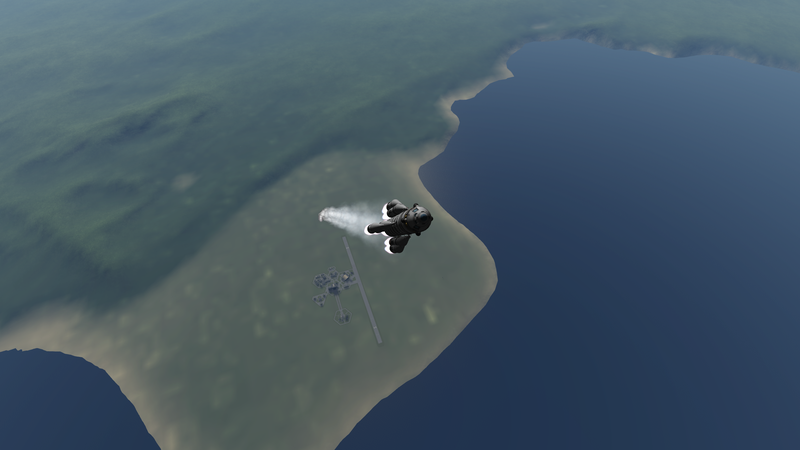 I've tried it 3 times so far in an SSTO I know works, and managed to botch it each time... lol. 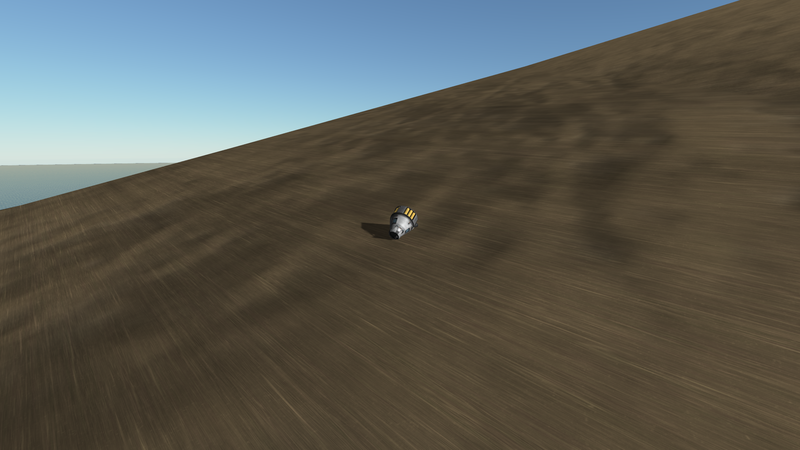 I can do it in IVA, but with no HUD at all is really tricky... I'll try again tomorrow. I'm curious about IVA in general.. @Badie, is IVA view allowed? Location: Wait, What? Hey! That's Personal! 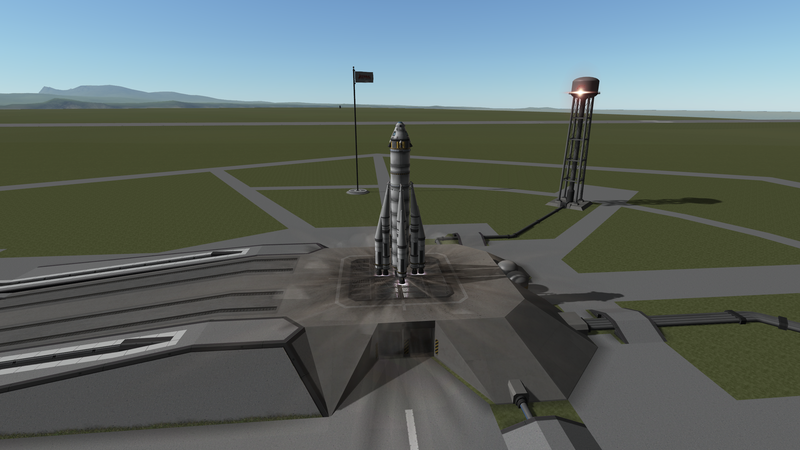 Kinda follows an r-7 esque shape, the craft (creatively named Untitled Spacecraft) accelerates up. Circularization. I just guessed on this one. 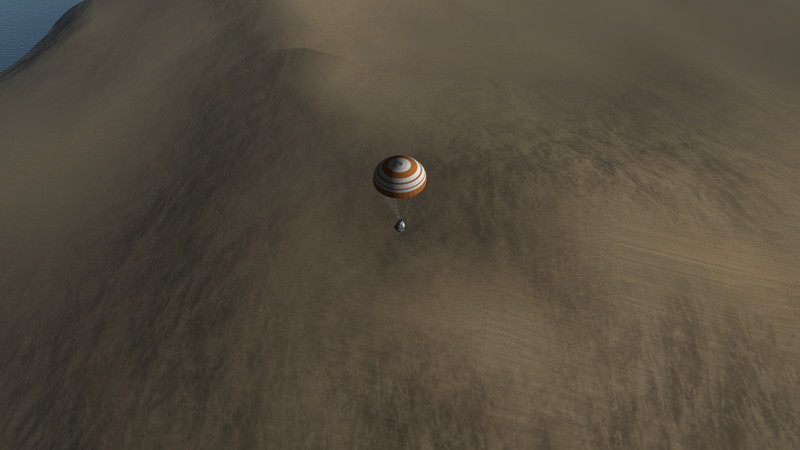 Capsule survived though - Success! Would I do it again - not planning to. Extra challenge: Land near Nick Kerman's home and 'see nick'. 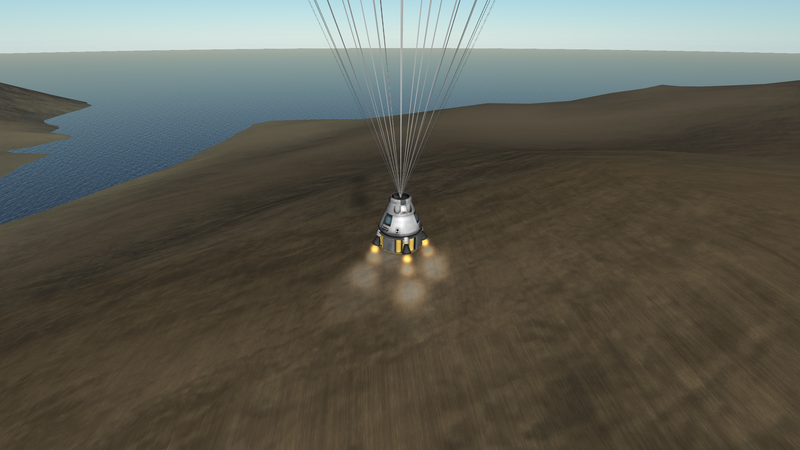 Then rescue him and bring all kerbals home! 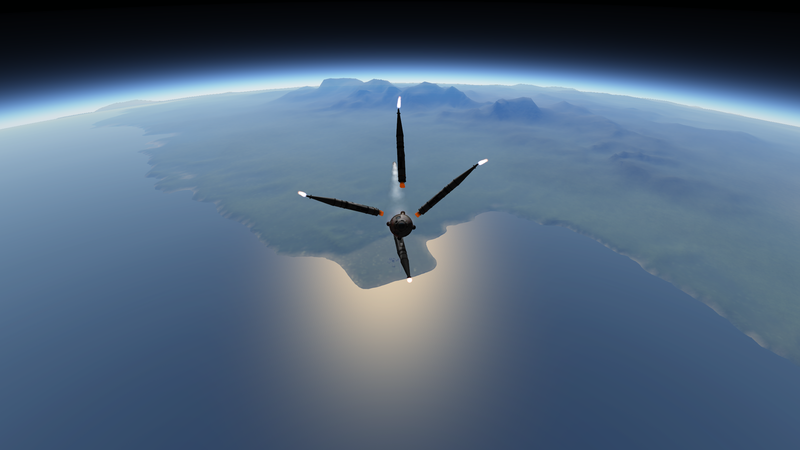 Its actually easy well, The craft will burn, and then will music start, and burn till cameras turn, rotate to orbital view, wrap to check orbit, Burn till cameras switch again, and re-enter (above ocean) for correct altitude for parachutes, use crafts shadows, for accurate approximate values. Pretty easy, will try, but my Imgur is broken, I don't know how to record. Will try now. Good choice, is it allowed, nothing about it. I will assist @Badiehere and explain the challenge a bit further. 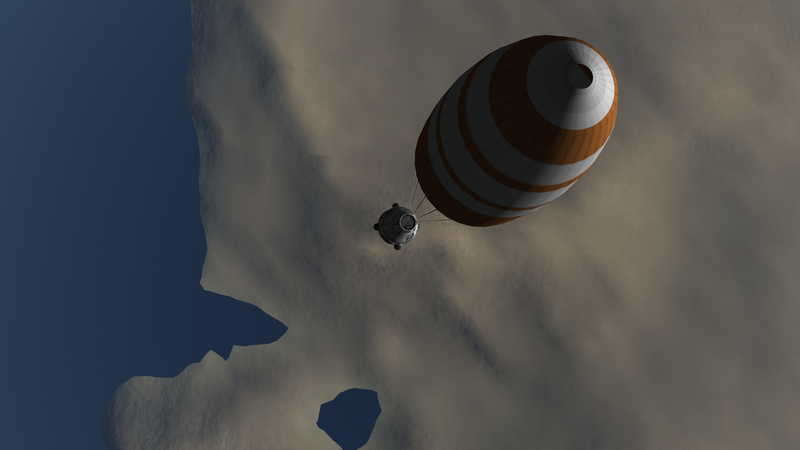 The idea is to get to a stable orbit and land again without any form of readouts. 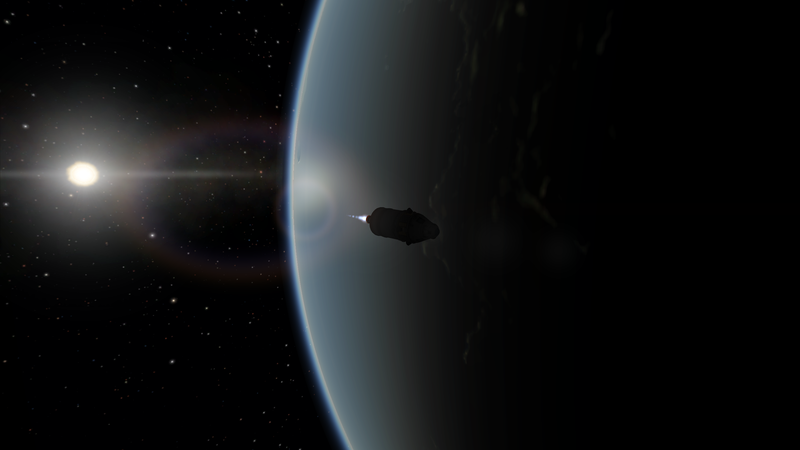 Just because the camera flips to Orbital mode doesn't mean you are already in orbit. But you are close! You might ask "But how can I tell if I'm above 70km and in orbit?" 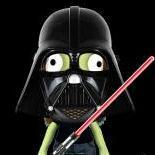 - Timewarp around the planet once to confirm you are in orbit. 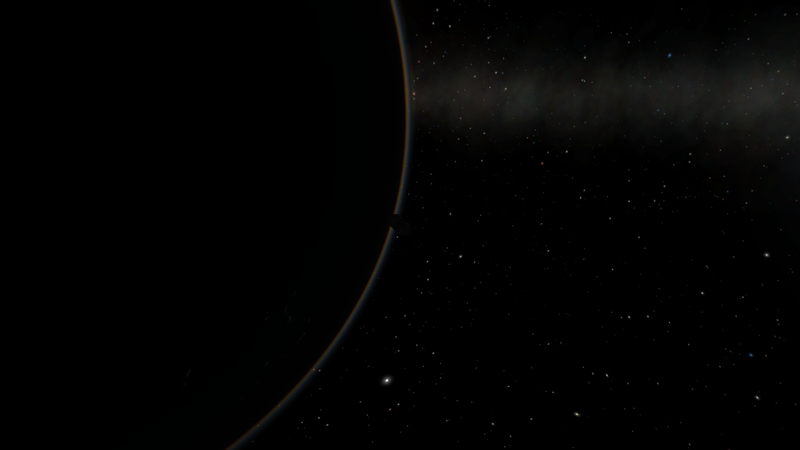 - If the game stops your Timewarp you are not in a stable orbit and have reentered the atmosphere. Good luck everybody and don't forget to enjoy the view!!!!! This is what makes the challenge easy. Camera and time wrap and even background music.